An RCMP officer immediately and vehemently denied he was involved in an alleged cocaine heist when confronted by investigators in 2016, court heard Tuesday. 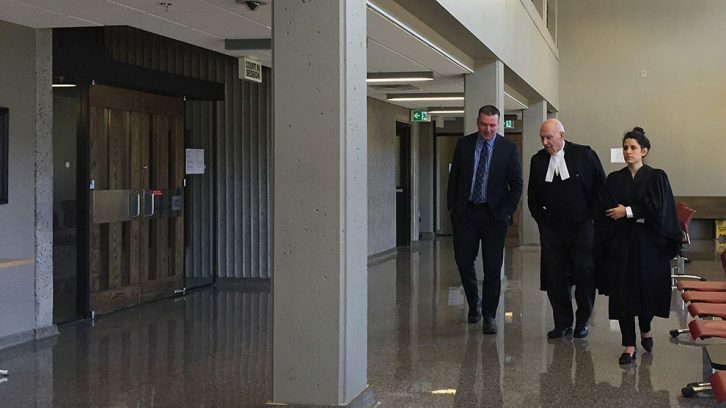 A video of the initial interview with former RCMP officer Craig Robert Burnett played during the seventh day of his trial in Nova Scotia Supreme Court. Burnett was not under arrest at the time of the video. He was interviewed by RCMP Sgt. Jason Reeve after a former business partner told police Burnett had taken cocaine from the RCMP evidence locker and arranged to have it sold. “Are you kidding me?” Burnett can be heard exclaiming in the video, after Reeve lists the first accusation against him. Burnett kept denying the allegations against him, saying “every single one of them” caught him by surprise. Burnett, 51, has retired from the RCMP. He has pleaded not guilty to seven charges: theft of cocaine, trafficking of cocaine, laundering proceeds of a crime, fabrication of evidence, obstruction of an officer in the execution of duty and breach of trust. The judge-only trial, presided over by Nova Scotia Justice James L. Chipman, will resume on Wednesday.